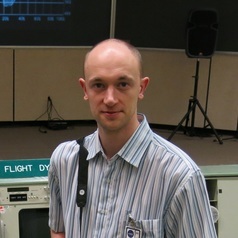 I completed my PhD in 2010 looking at the interaction of the Sun with the upper atmosphere of Venus. Since then I have held six postdoctoral contracts, covering medical imaging, solar physics, the Earth's radiation belts, lightning in tropical cyclones, X-ray astronomy, and X-ray observations of the Earth's magnetopause. I currently teach at Nottingham Trent University, where I am responsible for astrophysics lectures, laboratory supervision, tutorials and student projects. I am very strongly interested in space science outreach, encouraging students and the public to take an interest in how our planet interacts with the solar system.